Enjoy weekend travelling to Myanmar from 11 August 2015, now that visa-free visits for stays up to 14 days are available to Thai citizens arriving by air. To mark this great new travel convenience, Chatrium Hotel Royal Lake Yangon is offering Thai residents an exclusive super-saving Thai Visa-Free package during the weekend any day from Friday to Sunday. Special discounts on Spa and more. Reservations for Thai Visa-Free package at www. chatrium.com are open from now until 31 October 2015 for stays from now to 31 October 2015 as well. Located in the heart of the city, Chatrium Hotel Royal Lake Yangon is within a 15-minute walk of Kandawgyi Nature Park, Karaweik Palace, and Kandawgyi Lake, while Shwedagon Pagoda and Yangon Zoological Gardens are also within 3 km. Come and explore the culture of Myanmar in this city of beauty, peace and history while staying at Chatrium Hotel Royal Lake Yangon where a remarkable experience awaits you. 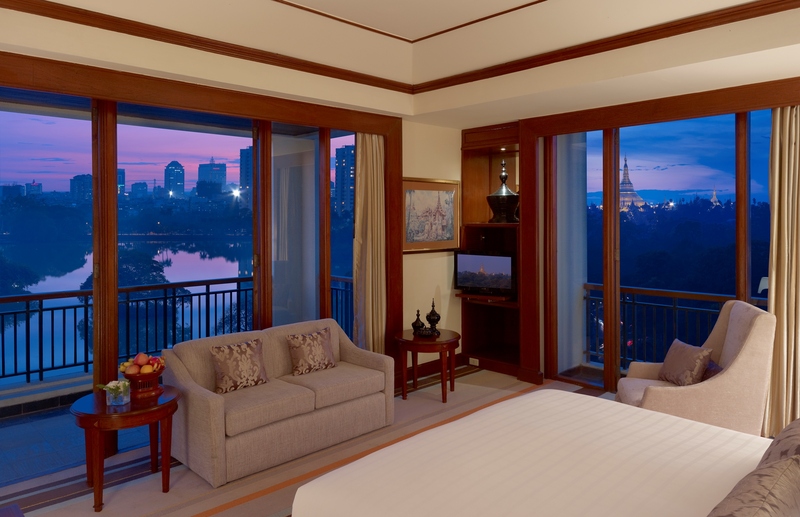 Chatrium Hotel Royal Lake Yangon is part of Chatrium Hotels & Residences, a luxury hotel collection and is one of the city’s topmost hotels for pure luxury and rich colonial-style architecture. It is situated among lush greenery beside the famous Kandawgyi Lake, and provides simply stunning and spectacular views of Shwedagon. Every guestroom is spaciously designed and influenced by local culture with touches of oriental heritage.